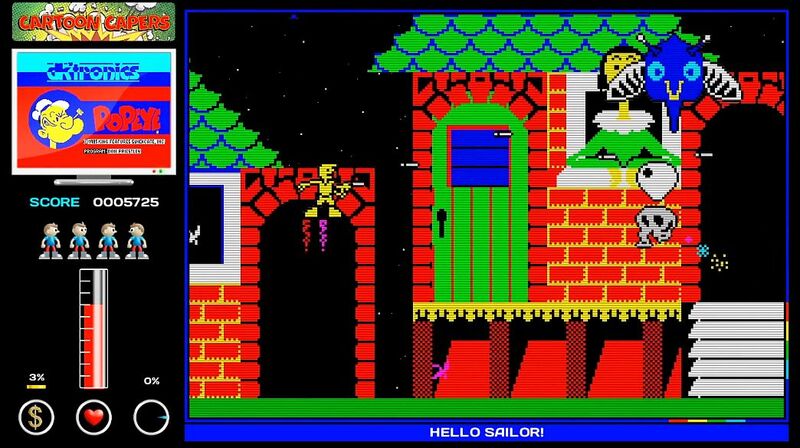 Indie Retro News: Project ZX2 - The sequel to Richard Langford's ZX Spectrum flavoured game is announced! Project ZX2 - The sequel to Richard Langford's ZX Spectrum flavoured game is announced! Great news everyone as Richard Langford of Langford Productions has just announced his latest game that's in development ' Project ZX2 ' which is a sequel to the previous game ' Project ZX '. Now if you remember the previous game that was released for the PC, you'll be pleased to know that the second game is very similar to the first as sure enough you'll be blasting your way through many different screens all inspired by classic ZX Spectrum games! According to the creator who obviously was pleased the first game was such as a success, this new game will have a brand new hero, an even more ridiculous plot, be a little bit easier, and feature over 100 ZX Spectrum inspired classics with original pixel art by Andy Green and Mark R. Jones. So yes one not to be missed when it's released this April!